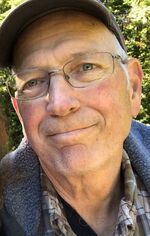 Rodney Hubbard Obituary - Oak Harbor, Washington | Whidbey Memorial Funeral & Cremation Service, Inc.
Rodney Richard Hubbard, age 65, passed away on Friday, November 23, 2018, at his home in Oak Harbor, Washington, surrounded by his immediate family. Rodney was born in Hamilton, Ohio on November 26, 1952 to Richard and LaVerne Hubbard. He attended St. Joseph’s Elementary School, Wilson Junior High School and graduated from Taft High School in 1971 (all in Hamilton, OH). He attended and graduated from Denver Automotive and Diesel College in 1972. He worked as a mechanic in Hamilton for two years. Rodney married Mary Wocher of Hamilton on November 30, 1973. Rodney joined the United States Navy in January of 1975. He served in that capacity for 24 years, retiring as a Senior Chief in 1999. He continued working in the field of naval aviation for private contractors supporting the mission of VAQ-129 at NAS Whidbey Island until the date of his death. He is survived by his wife of 45 years, Mary Hubbard of Oak Harbor; also, his daughter Kathryn and her husband Sean Coleman, grandchildren Madeleine and Finnegan Coleman of Waldwick, New Jersey, daughter Elizabeth Hubbard of Oak Harbor, and son Joshua and his wife Rebekah Hubbard, and granddaughter, Raegan Hubbard of Oak Harbor. A Celebration of his life will be held at Life Church (1767 NE Regatta Dr) in Oak Harbor on Friday, November 30, 2018 at 11:30 AM. Military Honors will be presented under the auspices of NAS Whidbey Honor Guard. Family and friends are encouraged to share memories and condolences at www.whidbeymemorial .com.